Robin and Dédé live about 5 minutes apart and each location plays a roll in bringing you content at FODMAP Everyday®. Throughout the site and on social media you will see glimpses of both our Test Kitchen and The Farm but here we describe how each functions in bringing you what we believe are the most delicious and well-developed recipes in the FODMAP universe. Dédé has maintained a professional Test Kitchen for over 20 years, throughout her writing 17 cookbooks and her 12 years at Bon Appetit magazine. 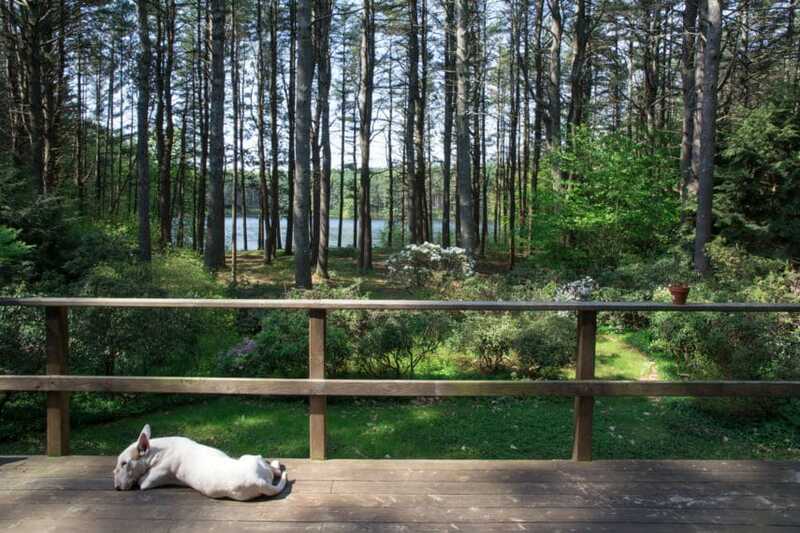 Above you can see the deck right off of the kitchen, where one of her bull terriers, Baby Huey, is soaking up the sun. 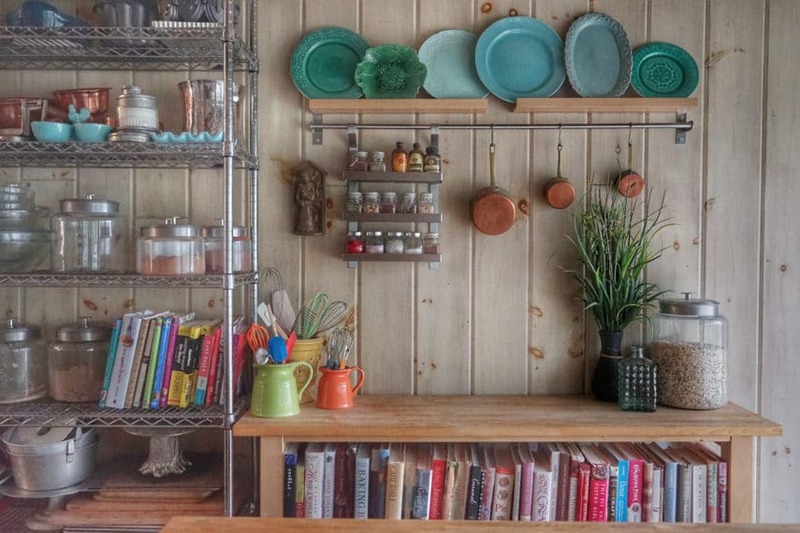 What does it mean to have a Test Kitchen and to be a professional recipe tester? First of all there is an art and science to developing, testing and writing recipes that goes far beyond measuring ingredients, writing it all down and taking a picture. A professional recipe tester understands their intended market, whether it is the home cook, product manufacturer, marketing team or international syndicated journalist. Different end use requires different approaches. We understand the provenance of an idea, what makes it original – or not – and how to write the recipes so that you will have consistent success when re-creating them. The Test Kitchen is stocked with appropriate equipment that mimics what will be used when the recipe is made by the end user. Multiple versions are put through their paces. Attention to detail is paramount in order for recipes to be reliably replicated in the end. Indeed, in addition to her books and work at Bon Appetit, Dédé has produced recipes for clients as varied as chain restaurants, individual restaurants, food product and equipment manufacturers, Williams-Sonoma, The American Heart Association, KitchenAid, Disney, Cook’s Illustrated and more. If you are looking for consulting or recipe development, please visit Work with Us. Robin has lived at Roja Home Farm (Roja for Robin Jaffin) for 20 years. She has a greenhouse and garden that abuts the property’s farmland (seen above in a Fall scene) and grows dozens of vegetables and fruits, many of which she starts from seed. Many of the vegetables and fruits are low FODMAP. 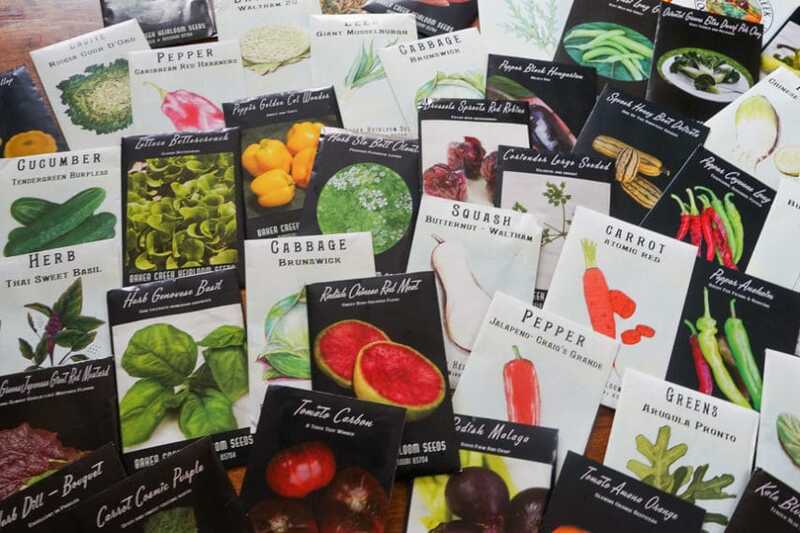 Below you can see all of the seeds, many of them heirloom varieties, that she planted for our delight and use in developing recipes. From its inception our idea for FODMAP Everyday® was not only to help you navigate the low FODMAP diet but also to help you thrive. And for both of us that means eating in a healthy way that extends beyond FODMAPs. We understand that it can be confusing to navigate the grocery aisles these days. Should you be eating organic and/or locally available foods? What about GMOs and “free-from” foods? While FODMAP Everyday® focuses on discussing the FODMAP content in foods we are also bringing you our own approach to healthy eating and in many cases that does include eating locally, often choosing organic and steering clear of GMOs. These are our personal choices and we understand that we are extremely fortunate to be able to make such choices. We also take a pretty relaxed approach in that it is paramount that our relationship with food is always enjoyable. If someone invites us over, we don’t grill them about where they bought their chicken. If we go out to a restaurant we take pleasure in perusing the menu and trying things we might not make ourselves at home. We might eat meat one day and then have an all-vegetarian day the next. Everything about life seems better – and easier! – when you feel great. Getting your relationship to FODMAPs under control is the priority in this regard. We recognize that you will make your own food buying (and maybe growing) choices and of course our recipes and principles can be applied to your own decisions. We want you to feel as good as can be and once you get your IBS under control, or possibly concurrently with embarking on the low FODMAP diet, we encourage you to think about broader health decisions that relate to food sources and production.